Political life, I’ve learned from the initial four mayors in this series, demands a special brand of commitment and passion. It’s not a job, all have intimated, where one packs up office contents and retires anonymously. The difference, discussing Scugog’s current transition to its mayor-elect with Mayor Pearce, is timing. Scant days before the change, the reality and finality of leaving her post after seven years are no distant memory; they sit in the forefront of her thoughts, which lends a rawness and vulnerability to the tone of her comments. “It’s bittersweet,” she says, body language reinforcing the statement. “I’ll still be involved in local advocacy, I just won’t be mayor anymore. That list of accomplishments is long and impressive. 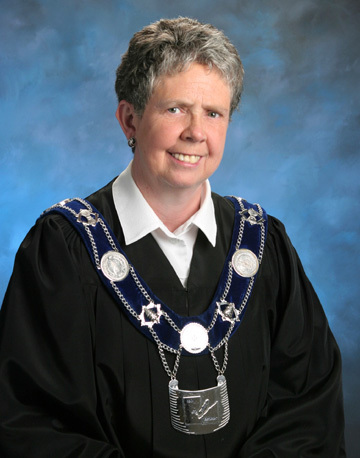 Her philosophy of inclusion also extended to Scugog’s outlying communities. Her evident passion for Scugog inspired initiatives aimed at protecting its heritage. “As a council, we tried to promote what makes Scugog special – by establishing a ‘Heritage Homes Registry’ and through the ‘Heritage Conservation District’. The conservation district, in particular, is a useful marketing tool at the provincial level. Her personal involvement sat years distant while she earned a degree in Geography from London’s University of Western Ontario. When she and husband Ric began to raise a family, other considerations took priority. Marilyn taught high school in Whitby; Ric’s career in insurance moved the family around the country. Family considerations – the needs of the couple’s son Kevin and daughter Trisha – suggested a change from teaching when the foursome settled in Port Perry in the mid-80s. Marilyn accepted a Program Coordinator’s position with the local “YMCA,” and it was here her political ambition was truly ignited. “I gained a reputation there for getting things done, and got involved with long-range planning for the Library. Marilyn’s initial bid was successful, and in 1987, she joined Scugog Township Council. But ten years in the position left her feeling burned out and seeking fresh horizons. Again she was victorious. Her agenda, she recalls, focused on investments in the community’s future. She is equally optimistic about her own path going forward. Ric also retired this year, and the couple intends to pursue a shared passion for travel. Their approach, she says, is different from many tourists. “We enjoy antiquing and travelling. When we do travel around, we prefer to stay inside Canada, especially in small towns. We’ll often rent a house in a community and talk to the locals. Each area has its own terrific stories. Her passion for that kind of local colour is reflected in elements of the Palmer Park project, and reinforced by her description of the finished product. 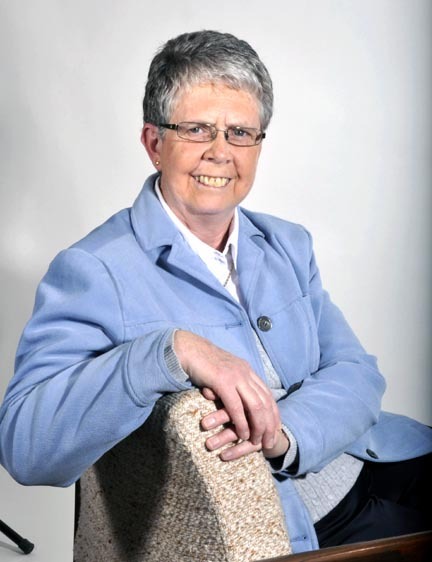 After seven years as mayor, and a total of twenty spent in political life, Marilyn Pearce has unquestionably left her mark on the community. Preparing to leave the mayor’s office for the last time, it is evident the community has also left its own indelible mark on this dedicated and passionate public servant. Her short-term agenda may be clear, but her long-term plans are yet to be written. Politics, she contends, are genetic, and having exited the political arena once before, only to return refreshed, could the same thing happen again? “Never say never!” she says with a smile.